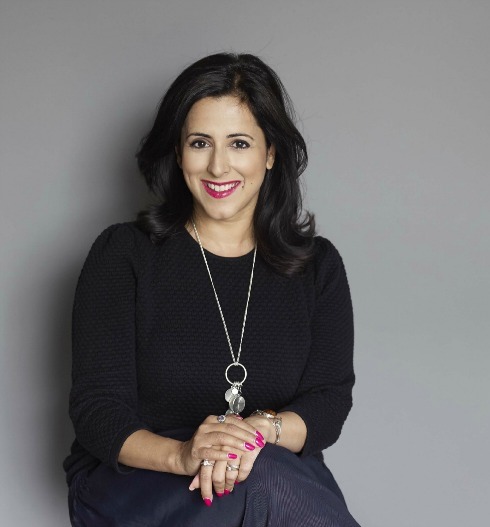 Anita Anand is a fast rising star in the media world and with a highly acclaimed book out at the beginning of this year, a respected writer, too. She made some time in her very busy schedule to share her thoughts with me and I know you’re going to love this interview. Be inspired! Jane: Anita, you’re very well known as a radio and TV broadcaster. But what did the young Anita want to be when she grew up? Anita: My earliest memories involve stuffing tissue into the heads of dolls (alarming my mother) – she said I wanted to be a brain surgeon – but this may have been wishful thinking… I do remember being fascinated by space – particularly horse head nebulas, in a grown up book we owned… and vowing that I would be the first astronaut to visit one… but soon my attentions turned to journalism. I was the editor of our school magazine and went on to work on the London Student university newspaper – so I think my path was clear from a fairly early age. I have always loved the idea that there is no limit to what can be learned and questions are the way to do that. What was your first paid job on leaving full time education? I was working while I was in full time education – It was a small cable television station at the time called TV Asia. During my second year I would finish lectures and dash across town to work on youth programming and later news. They took me on full time as soon as I graduated and I was first a reporter and then a presenter. It was a time where my feet didn’t hit the ground – but also one of the most fun times in my professional life. How did you get your first break with the BBC? When TV Asia was bought out by the multinational giant Zee TV I became Head of News. I immediately found myself being booked on to BBC programmes to discuss subjects as diverse as reincarnation (Glenn Hoddle had made some controversial remarks) and international terrorism. I was on 5 live so much as an ‘expert’ that the controller called me in (1997) and jokingly said it would be cheaper to give me my own show… and then he did. I did the late night slot first and then moved to present Drive. I will always be very grateful to him because I had never done radio before and it was a very steep learning curve. I now consider Radio to be my spiritual home. Anita, in 2005 you won the Nazzia Hassan Award for best Upcoming Television Broadcaster. Did that have a big effect on your subsequent career? Or with hindsight was it unhelpful? I am always flattered by awards of any shape or shininess – but to let them affect your trajectory in any way is a bit silly. I just carry on carrying on. You’ve written that you are a ‘laissez-faire Hindu’ with the greatest influence of your life being a ‘bonkers Catholic nun.’ That’s quite a mix. How has that impacted on you and your philosophy of life? Are you and your husband passing on any of that religious melange to your son? I would classify myself as an atheist. I have a rich cultural and experiential heritage and would love my son to have the same – so we celebrate Christmas, Diwali, Vaisakhi and Eid in this house… any excuse to cook a nice meal and make a day spangly… I hope that like me, he has the early taste of everything, respect for all but ultimately the ability to make his own choices when he is old enough. I’m so into that idea of multiple celebrations, I might have to take on a few myself…When did you first encounter feminism? Early on but I didn’t know it’s name (if that makes sense) – I had a very early sense of outrage that in some Asian families girls were not expected to excel at school and their only future seemed to involve being someone’s wife/someone’s mother. That seemed patently unfair to me – and luckily I had parents who believed the opposite – that it was almost more important for a girl to be well educated because she might have to work harder than a man to get to where she wanted to be. I think I first called myself a feminist when I was at school – and have been one ever since. I don’t agree. The feminist movement, from the time of the suffragettes, was a coalition of class. The middle/upper class women then were perhaps better able to fight in the vanguard because they had the contacts and ability to barge into the right offices – sadly working class women were often stopped outside the door. But those Pankhursts and Princesses were fighting for working class women – and I think issues of fairness and equality transcend class. Today when a woman fights against page 3, insufficient healthcare, poor opportunity or unfair work practices etc – is she fighting just for women of her class or all women who don’t want to be discriminated against, objectified etc… I think the Wolf argument is one that promotes guilt-apathy and stagnation. The elites have to open the doors for others – that is true – but I don’t know of many who are not aware and trying to do that. Hear hear! If you could introduce one piece of legislation to further gender equality what would it be? There isn’t one magic bullet sadly – in many cases the laws are there and they need to be enforced. In others, problems are complex and need a sophisticated approach. 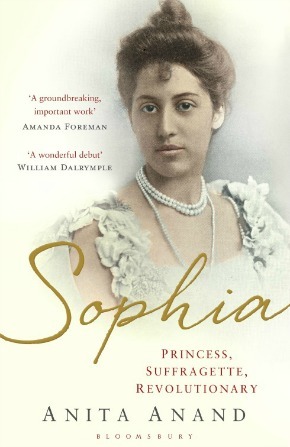 You’ve just published Sophia, a book about a real life Indian princess who became hugely involved in the suffragette cause. When did you first learn about her? I didn’t really discover Sophia. She barged her way into my life. In the spring of 2010, I was at home on maternity leave, taking time off from presenting The Daily Politics on BBC 2. While my son slept, I read everything I could get my hands on. During those stolen moments, a photograph in a local magazine took my breath away. It showed a Suffragette selling newspapers outside Hampton Court. Her fierce eyes were clearly spoiling for a fight and she made a striking image, but that wasn’t what saved her from the recycling. Dressed like a well-heeled English Edwardian, something jarred. Although the picture was black and white I could tell her skin was as brown as mine. Who was she? Why did I not know about a British Asian suffragette? The answers would lead me to uncover the story of a remarkable woman. Her name was Princess Sophia Duleep Singh and she would be my constant companion for the next 4 years. Why do you think she seems to have been airbrushed from the great pantheon of suffragettes? I certainly never heard about her in school. She existed at a crossroads of history where deliberate and accidental acts erased her. The British government did its best to play down and even delete her from the public record – they were struggling to keep the Punjab in their grasp and the last thing the Raj needed was for news of a defiant Indian princess to reach their colonies – which were already simmering with unrest. The police and courts would not put her in prison – it was too embarrassing a prospect to have Queen Victoria’s goddaughter in the clink – so she was never allowed to hunger strike, risk her life for the cause. We generally remember a handful of those brave women – the ones who died or almost died fighting for our votes…even though there were battalions of courageous suffragettes behind them. Sophia’s inability to be imprisoned wasn’t for want of trying – She regularly committed acts which had other women jailed at once. Neither she nor her siblings had children – the line died with them – so there was nobody left to carry the torch. And in India, after partition, the people had new men and women to stand on their pedestals – with giants like Gandhi, Nehru and Jinnah there was no room for the old Maharajah’s – so the country of her ancestors also forgot. Add to all this Sophia’s hatred of self-aggrandisement and you have a perfect storm. This extraordinary woman simply disappeared. What makes for a really good interview, from your perspective? Who is the most interesting person you’ve interviewed? I like the prickly ones best – and for every person I have had walk out of an interview, there are those who respond to the ‘impudence’ of questioning by really revealing something of themselves. I once asked Benazir Bhutto if she had been responsible for the murder of her brother (a rumour which was rampaging about Pakistan and beyond but which nobody dared to put to her directly.) I was on Pakistani soil at the time and fully expected to be physically thrown out of her home or worse – but instead she stopped and paused and broke down crying – she then answered me. I had not wanted to make her cry, but the interview was stronger for having crossed that line. Have you ever experienced discrimination in your work? Not that I have noticed. If I don’t get a job I tend to think it was because someone better did – it spurs me to work harder. What’s the best piece of advice you’ve been given, career and or personal? Career ‘Always send the lift back down’ ie try and be helpful to those starting out – you were them once. And personal ‘There will always be more wind’ i.e. when you think you have made a baby burp – try again – there’ll be another one hiding in there somewhere. What has been the most challenging or riskiest undertaking you’ve had in your career? Probably writing this book was a risk – I am not a historian, and I never intended to be an author. The reception could have been crushing, but I have been very fortunate. People have liked it and I am so relieved. It would have been awful to have done Sophia a disservice. If you could travel to any time and place in the past where would you go and why? India during the last days of the Empire – I have so many questions that need answering but the ones who could give me those answers are all dead. Finally, what advice would you give to anyone looking for a career in media? It’s a weird little place – this media bubble. Make sure your roots go down beneath it. Anita, many thanks. Your book has already had many great reviews and I’ll be adding my own soon. It’s fascinating to have unearthed something new about suffragism; I can see it being a great film too. Thank you. RenewYou is an internationally renowned women’s personal development course and available across the UK, in Australia, USA, South Africa, and beyond. To see the dates for all current RenewYou Women’s please click this link.